The Wine Shoppe at Green Hills | Continuum Vertical of Dreams! 04 Feb Continuum Vertical of Dreams! California collectors, this one is for you… Vintages 2013 + 2014 + 2015. regularly $771.99. Buy all three vertically for just $699.99!!! 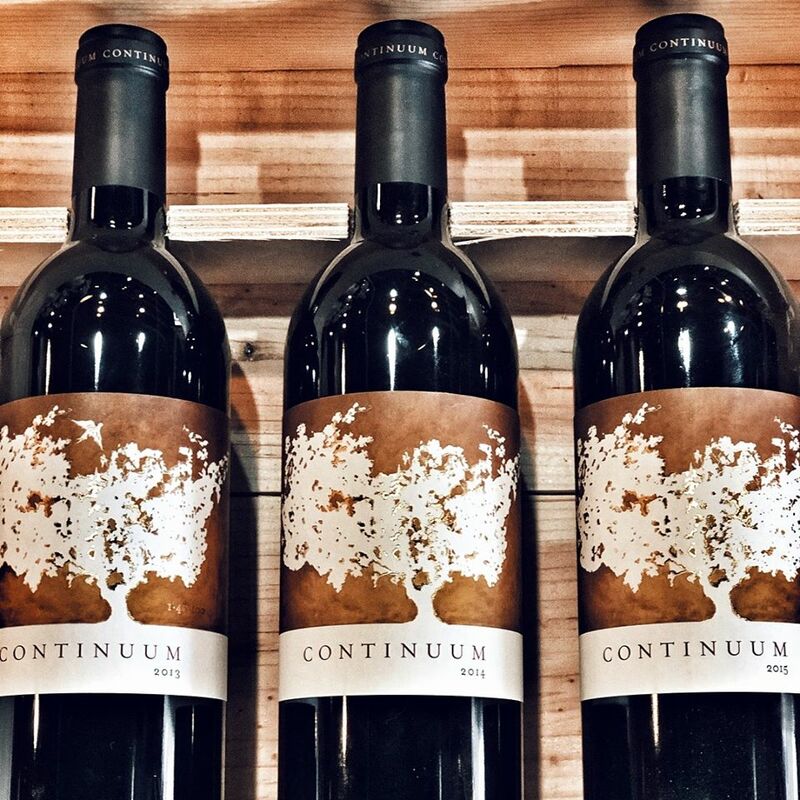 Continuum was founded by Tim Mondavi, his father Robert and his sister, Marcia in 2005. Continuum remains a family affair, with his children all working at the property in various capacities. An interesting project, as in many ways, it is quite different from the Robert Mondavi Winery that Tim was previously in charge of before. For example, Robert Mondavi produced a plethora of different wines at various price levels, from a diverse array of grapes. That is not the case here as Continuum focuses on one main wine. Next, for a period of time, the Robert Mondavi Winery under Tim Mondavi began to produce wines that were lighter in style from less ripe grapes that were considered food friendly. That is also not the case here, as Continuum is making delicious, ripe, rich styled wines. 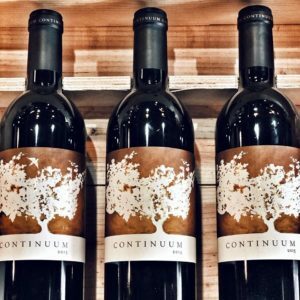 Continuum is usually a Left Bank Bordeaux blend of approximately 78% Cabernet Sauvignon, 11% Cabernet Franc, 6% Merlot and 5% Petit Verdot from vines planted on Napa’s Pritchard Hill. Vinification of Continuum takes place in a combination of conical shaped oak vats, Sonoma Cast Stone and Nomblot egg shaped tanks with 10% of the wine being vinified in barrel. The wine is then aged in 85% new, French oak barrels for up to 20 months before bottling. The result is a quite stylish, with lush, round, plush textures, nose of fresh flowers, black and blue fruits, coffee bean and ripe black cherries. Forward in its approach, these wines are fun to drink now and will only get better with age.